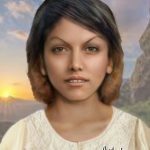 On the morning of November 26, 1983, a deceased individual was found on Lower Pillar Point/Ocean Beach in Half Moon Bay, California. They were identified as male wearing women’s clothing, including a bra with foam breast forms. The deceased had been stabbed, beaten, and strangled hours prior to being discovered. Sample has arrived at the lab for QC and sequencing.